Perfect Combination Of Size & Innovative Functions! Ergonomic, Magnetiv Hanger, Probe Holders, Tilt Stand, Battery & Fuses Access Cover... User-Oriented! PC-Comm, Bar-Graph, BeepJack, Relative... Full-Features! 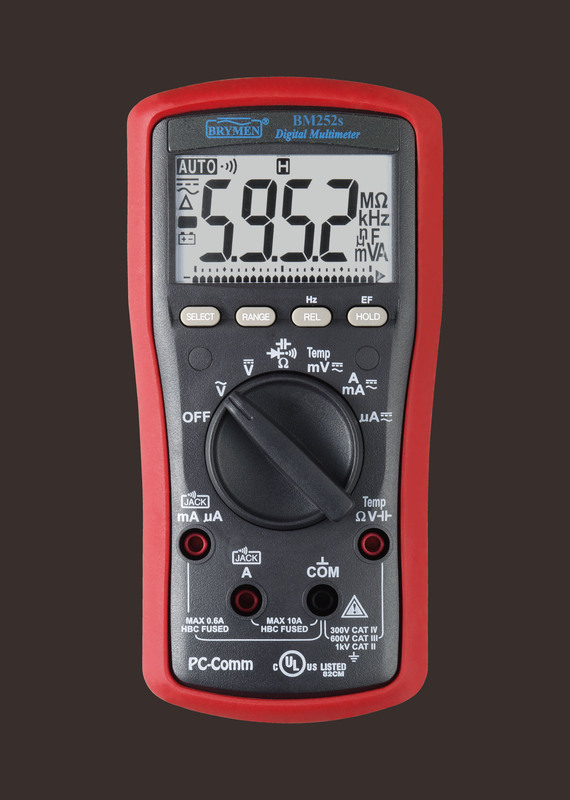 EF-Detection, Capacitance, Line Level Hz, Temperature... Full-Functions!